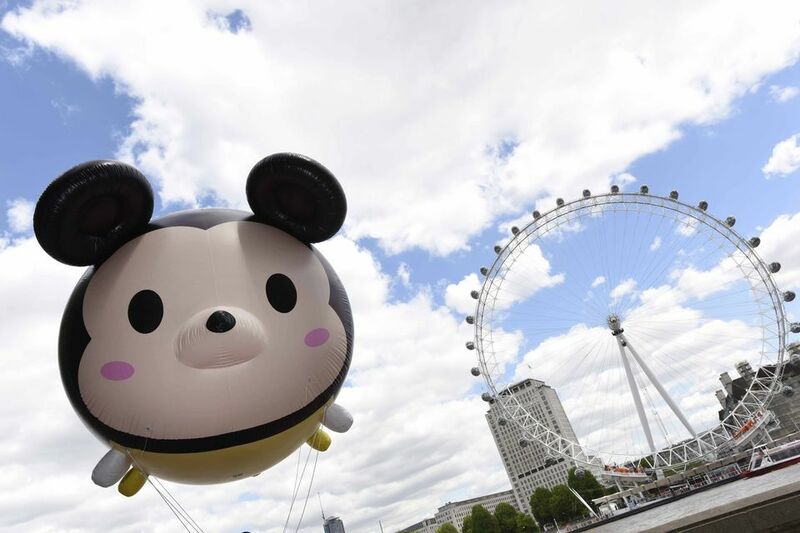 Giant Disney characters in the shape of “TSUM TSUMS”, the latest collectible toy craze to hit the UK from Japan, journeyed past London’s iconic landmarks on their way to Disney Store on Oxford Street. Originally developed as a smartphone game, Disney TSUM TSUM (meaning ‘stack, stack’) has already seen 40 million app downloads globally. Disney’s collectible and stackable soft toy collection has also sold enough TSUM TSUMs to stack 670 times higher than Nelson’s Column and 260 times higher than the London Eye. The Disney TSUM TSUM game is available via the LINE app. And there are also a series of plus toys for the super fans that range from £3 – £20 available in the Disney Store. Hi there. I was wondering if there are any Tsum Tsums in the Disney Store fof Oxford Street in London. I don’t know I’m afraid. Maybe call the store?